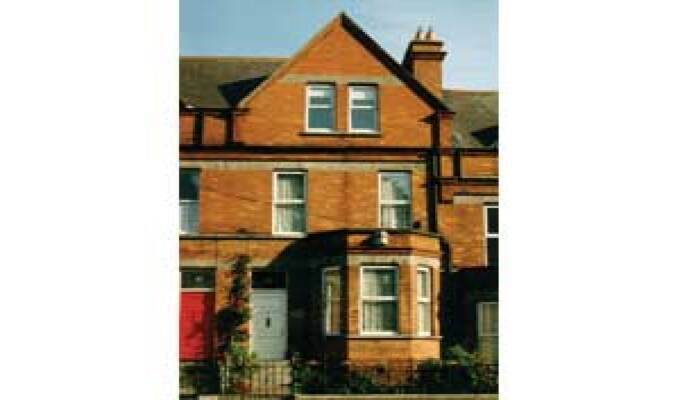 College House, 50 Upper Drumcondra Road, is a comfortable Victorian residence, situated directly opposite the main entrance to St. Patrick's College on the N1, the main road between Dublin Airport and Dublin city centre. Standard and ensuite rooms available. Many restaurants and pubs are closeby, within walking distance and many more are within easy reach by bus or taxi. Shopping in Dublin city is a very pleasant experience. Take some time also to sample the fine cuisine that Irelands Capital has to offer. Dublin Airport is 7km 15 minute door to door bus journey, and Dublin city centre is a 2km, 5-10 minute bus journey. Buses: 3, 11,11a,11b, 16, 33, to the city and 16a, 41, 41a, 41b, 41c, to and from the airport, are all available outside our door. The location is Very Close To city center, or guest has bee Extremely helpful with suggestion about what To visit, bus, places where To est and was a Very Nice chat. She offre us Coffee and biscuits when We Arrivederci Even if it was Very late. The breakfast was good and the Place Very typical. Our room was very clean and the bed confortante. Very warm welcome and tea when we arrived. Ideally located between Dublin airport and city center next to a bus station. Many recommendations for sightseeing and transport. We had only one night at the College House B&B, but still we enjoyed the stay there. A little old fashioned but very cozy B&B run by lovely people, Lourda and Patrick, who cared for us in every way, especially a very good cooked breakfast. The location is very convenient, easy to reach from the airport and just a few bus stops from the inner city. But all you need also is around, including a great pub with really good food. Overall the College House B&B is very recommendable. I've already booked in for the next stay.